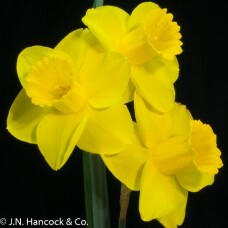 Panill Award winning large-cup daffodil. Brilliant-yellow self-coloured flower with thick broad petals and a neat corona. Early-mid.